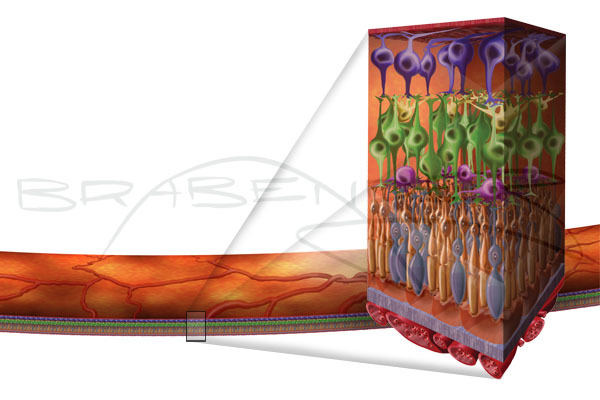 Create illustrations of the receptor cells in the back of the retina. This image was designed to be printed on a 5 foot by 10 foot trade show banner, and also for use in a printed promotional booklet. This was another illustration for the same project. 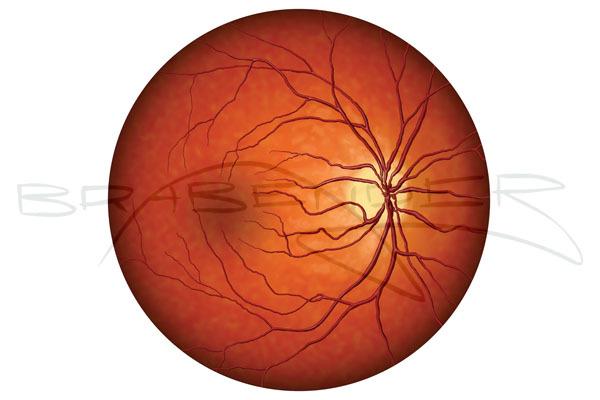 This is a illustration of what a typical retina photograph would look like. This was also designed to be printed at a large scale.